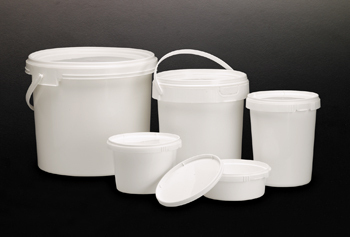 These disposable containers made of polypropylene, are ideal for collection and storage of fluids, powders, solids, pathology specimens and hazardous samples. Lids are tight fitting. C581 Serie incorporate a tamperproof lid which is opened by first removing tab on side of lid, then by lifting the cover. They resist temperatures up to 121 �C. The two larger sizes are supplied with a plastic handle for easy carrying.